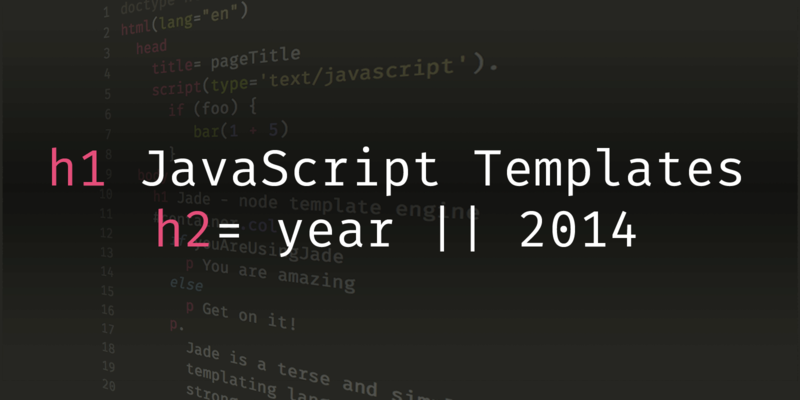 The big benefit of such approach when it comes to templates specifically is being able to render HTML on the server side, send it over the wire to a client and then have that client interact with the page and have it change using the same template bits and maybe even some shared logic. That can be a huge gain in terms of effort and reduces footprint of your application. Finally, the last criteria for selection is project activity in general. I decided not to work that into the formula to keep things simple. There are a few engines that were excluded based on the lack of any activity over an extensive amount of time such as Eco and Haml.js. These could be considered abandoned in my opinion. EJS and Mustache.js get a break here because they are fairly simple and there aren’t any new features in general. With that in mind, I’m going to give a brief sample of what markup looks like for each engine, the minimum code necessary to render that markup to HTML followed by some pros and cons. Please note, everything in this article represents my personal opinion and might not match yours. The purpose here is to show you different templating languages, give you my personal take on each and let your decide for yourself. strong focus on performance and powerful features. Available implementations in php, scala, ruby, python and java. We call it “logic-less” because there are no if statements, else clauses, or for loops. Instead there are only tags. Some tags are replaced with a value, some nothing, and others a series of values. Handlebars.js adds a couple of additional features to make writing templates easier and also changes a tiny detail of how partials work. Hogan.js was written by the good folks at Twitter to meet three templating library requirements: good performance, standalone template objects, and a parser API. I don’t think it’s a valid statement to claim that language doesn’t have control structures just because the syntax looks a little different but does essentially the same thing. No sufficiently complex template can get away without using basic ifs & loops and making the loud statement of being “logic-less” is unnecessary and silly in my opinion. Having said that Mustache is a very popular templating language which is evident from its many platform implementations. It has very little learning curve and can be used for things other than HTML. 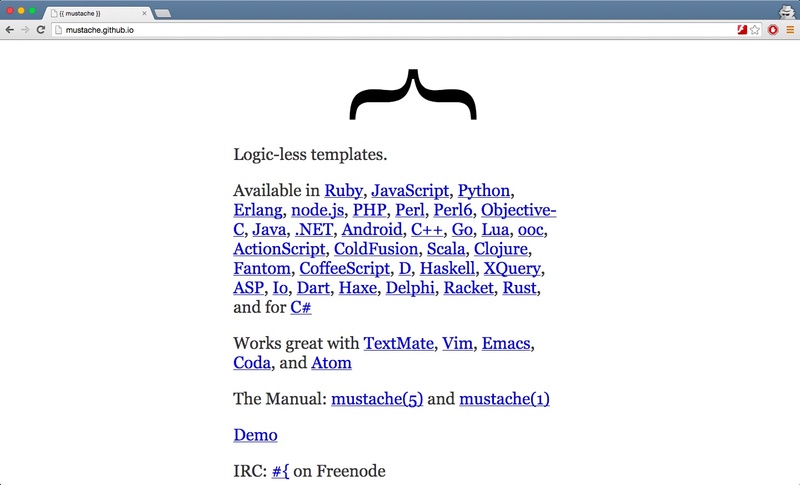 Dust.js is a heavily influenced by Mustache template language. The original Dust.js repository has been pretty much abandoned but the LinkedIn fork that is listed here is alive and pretty active. First, insert the base template as a partial. Then populate the base template named blocks. Supply the desired bodyContent and pageFooter. The streaming support in Dust.js is unique. 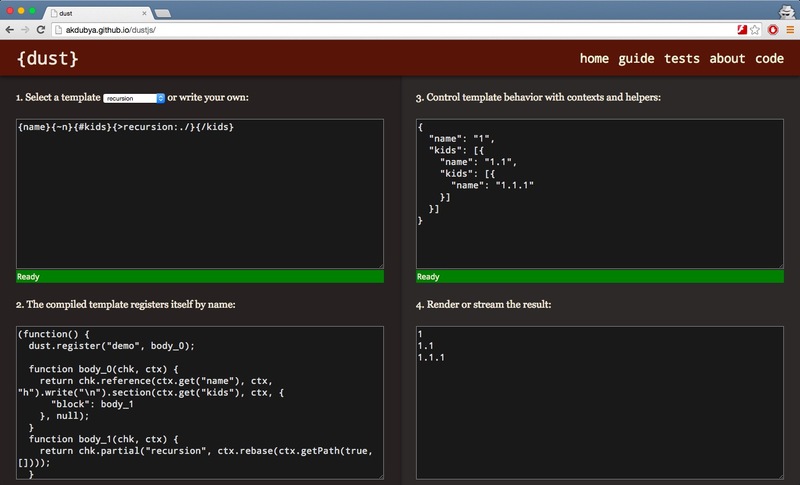 The runnable example takes advantage of this to illustrate how HTML could be streamed to the user. You can stream response by itself and you can stream chunks. You can imagine a case where you render a list of promises resolving them as they are rendered and only resolving those that are rendered. Be sure to read the original documentation because the LinkedIn fork while having a great guide misses on some key points. Rich Powerful language with block inheritance, autoescaping, macros, asynchronous control, and more. Heavily inspired by jinja2. Nunjucks has the weight of Mozilla behind it and a very extensive documentation. Unlike Dust.js where async support is baked in as a byproduct of the streaming, Nunjucks has a full support for async filters and tags. Your filters could be making database queries and performing other async operations during rendering, which could be pretty powerful when done right. … custom filters and extensions can do stuff like fetch things from the database, and template rendering is “paused” until the callback is called. EJS is probably the most old school way of writing templates. Takes me back to the days of PHP and JSP. It’s very verbose and having to close your functions and if statements with <% } %> type of blocks makes the code difficult to read and even more difficult to type. EJS is hands down my least favorite templating language. It can however have its uses because in the bare minimum implementation it’s just about 25 lines long. 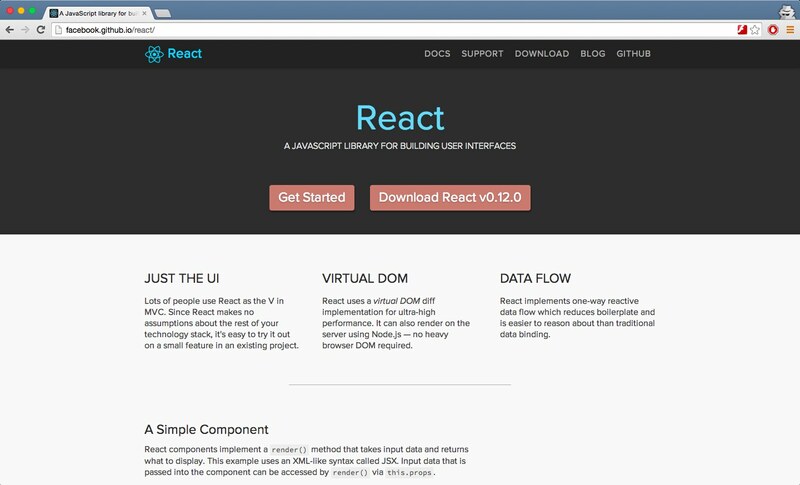 There’s one other project that I haven’t mentioned that I feel is worth noting – React by Facebook. I don’t feel it completely belongs on this list because it’s so much more than a templating engine. However, because it can actually be used as an isomorphic rendering engine, it’s worth noting. It’s currently very actively developed and there’s a ton of buzz around it. All of them have their own strengths and weaknesses, some of them could even be used together with others. 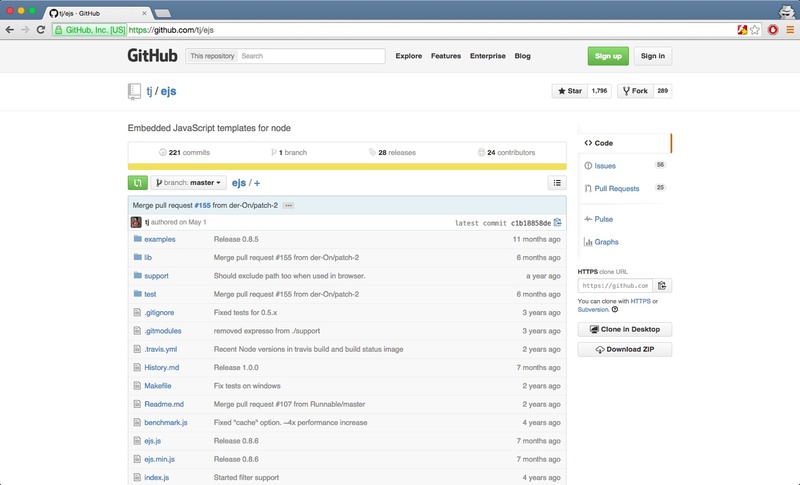 Dust.js stands out of the crowd with its streaming support. 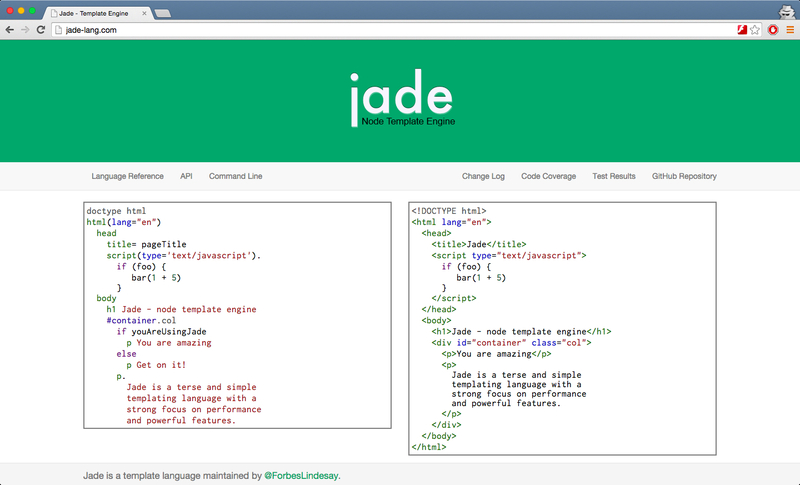 Jade has significant white space and can seamlessly integrate with other markup engines like Markdown and CoffeeScript. 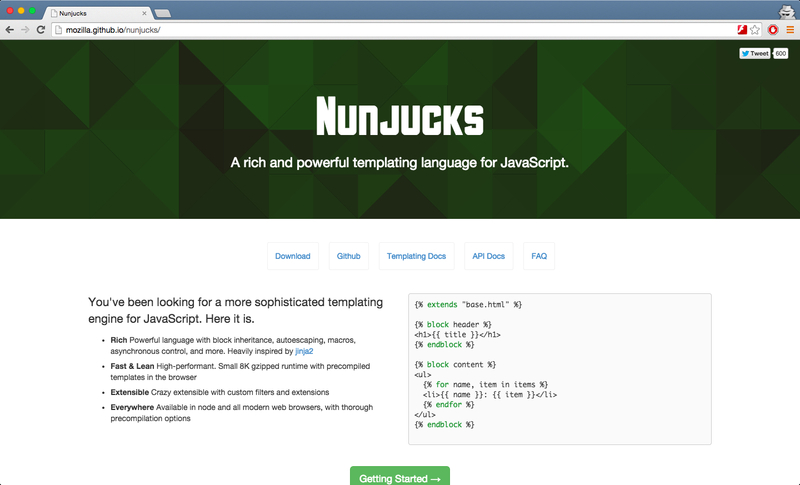 Nunjucks brings async filters and tags to the table and Mustache.js is minimal and straight forward. EJS is just… well, EJS I guess – it’s a bare bones templating engine. Finally, I’ve put together a runnable example. Every engine listed is set to produce exactly the same output to give you and idea of where they differ. Dust.js is slowed down on purpose to illustrate it’s streaming capabilities. The source is also posted on GitHub.